Fans of Eames era furniture are probably sad that they don’t have a computer setup to go with all of their other mid-century modern furniture. Well, this mouse inspired by Eames furniture would be the perfect compliment to your decor. It’s called Lounge Mouse, and it is a concept design for a mouse created by industrial designer Shane Chen. Its curved wooden base and black top resemble the iconic Eames lounge chair, and especially its ottoman. The idea was to create a mouse with the ergonomics and style of Eames furniture and I would say that this was a success. 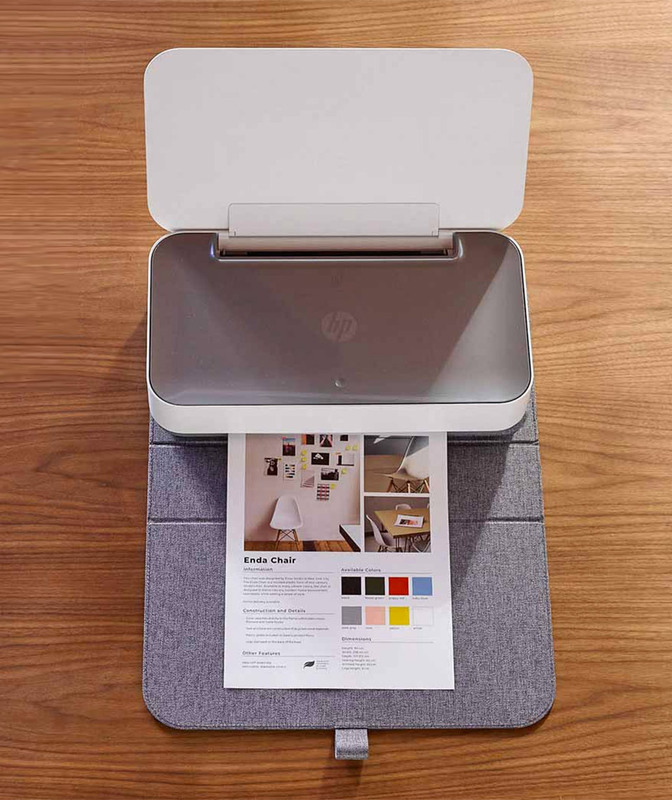 It isn’t easy to blend electronics and furniture in a way that is pleasing to the eye. 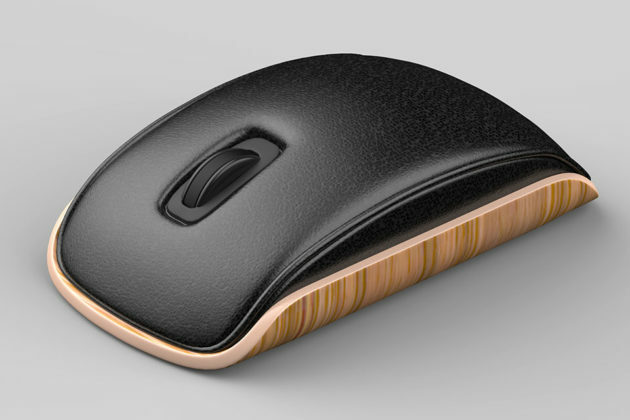 If produced, the mouse would be made from bent plywood, and feature a leather surface just like the iconic Eames chair. For the moment, it is only a concept, but you never know. 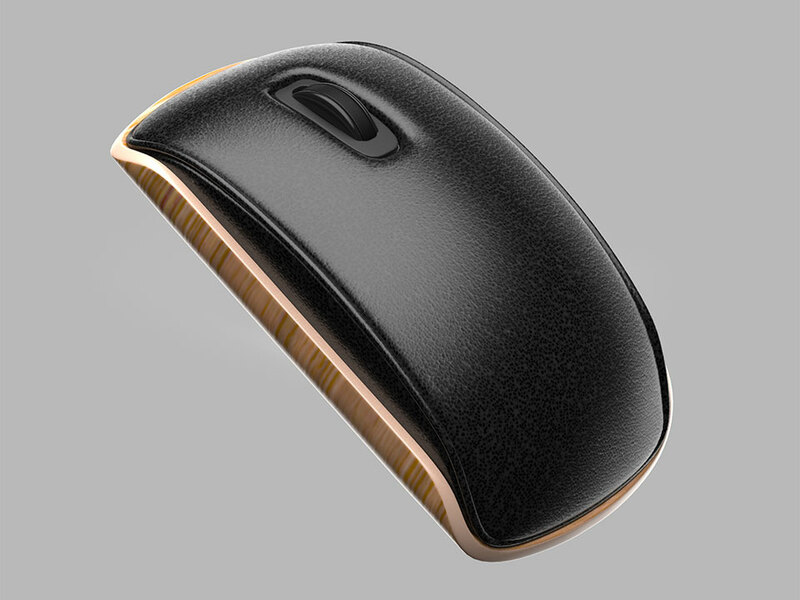 Maybe one day we will be able to use a mouse this stylish. I’m just hoping that it won’t be too expensive if it ever does become a reality. It’s always nice when our electronics don’t actually look like electronics. The HBO series Silicon Valley is one of my favorite comedies on TV. It’s a hilarious take on the software and hardware industries, and the crazy stuff that happens in pursuit of funding and customers. Among the show’s colorful characters is Gavin Belson, the egotistical CEO of Hooli – a corporate buffoon who epitomizes the Peter Principle. Among his many idiotic decisions was the creation of a piece of server hardware embellished with his own signature. But since his handwriting was horrible, they went with an employee submission instead. It just happened to resemble a cartoon drawing of male genitalia. 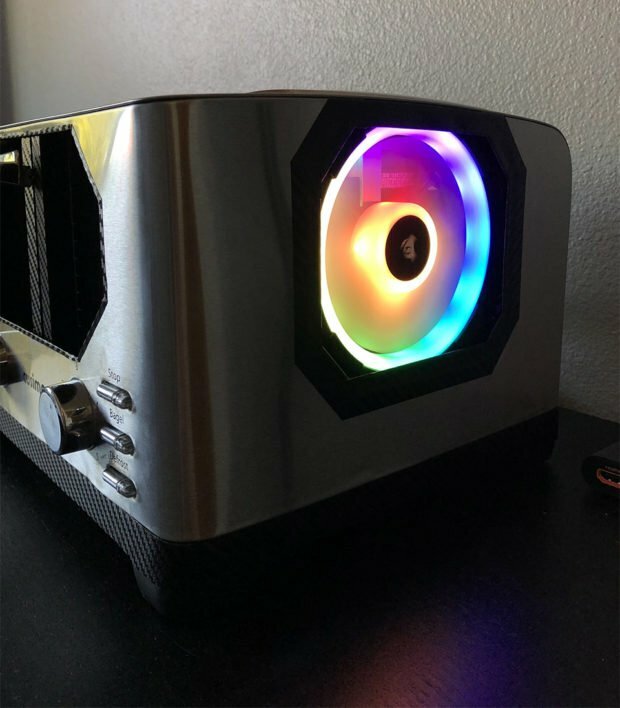 Now, a fan of the show has replicated the Hooli Gavin Belson Signature Edition Box 3 for his own custom computer system. Builder Ben Hoad created this custom version of the iconic server as a usable ITX-compatible case for a small form-factor PC. After thinking he’d build the whole thing from scratch, he came upon the Silverstone ML08, which offered the perfect base for his project. Ben still had to do lots of customization to replicate the look of the on-screen prop, including a custom front, and of course Belson’s iconic green backlit signature. Kudos to Ben for a great build that’s both useful and inappropriate; two terms I often use to describe myself. If you are looking for a Halloween scare of the audio variety, check this out. You only have a day until the big holiday, so turn off the lights, turn up your volume, and put Paweł Zadrożniak’s latest work on loop. 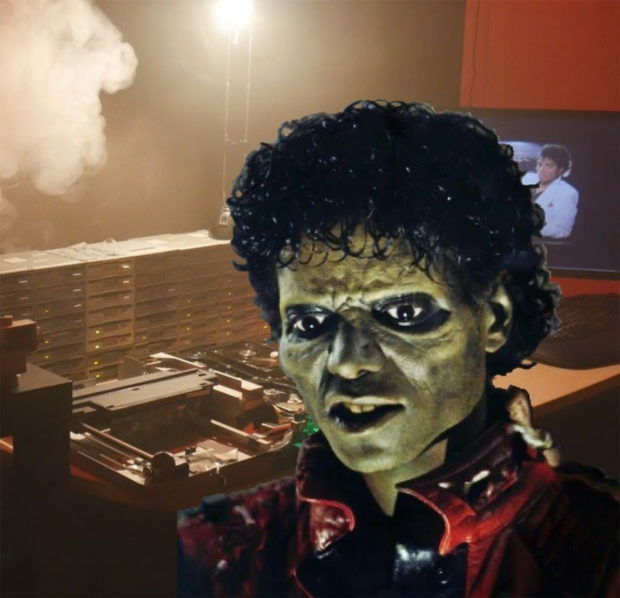 Yes, the famous Floppotron has a creepy electronic cover version of Michael Jackson’s Thriller waiting for you. It’s not only spooky and creepy because of the song itself, but when you think about it, this is a collection of dead gadgets that are playing all of the instruments. Dead gadgets now have risen from the grave. Zombie gadgets not with a thirst for brains, but for power. That’s pretty scary when you really think about it. Michael Jackson would surely approve. Perhaps it will make him rise from the dead to dance along. You never know what zombie technology is capable of. So if you see a zombie moonwalking this Halloween, you may want to look closer. Better yet don’t look closer. Just run. Run before he grabs his crotch and sings “Yooo-hoo”. This could be the start of some very chilling real-life horror. Hey, it could happen. Anything can happen on Halloween night. 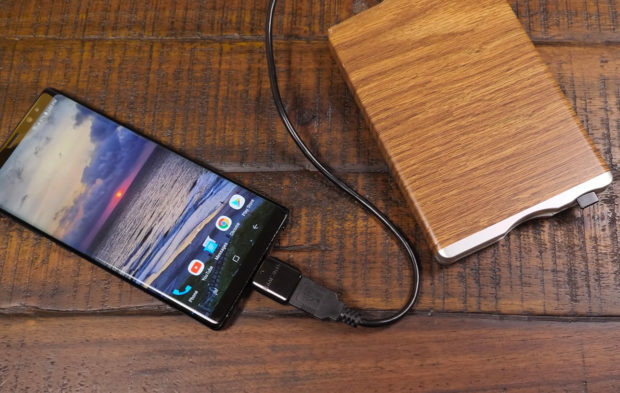 Plug this thing in, and all your games are toast, and so is your computer. For real. 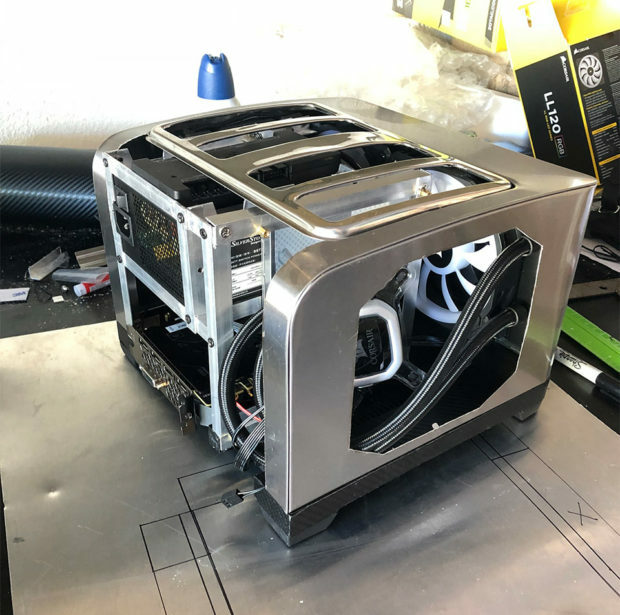 xXNokkenXx created this toaster PC by stripping down a stainless steel four-slice toaster, installing a wooden block at the base and mounting the components to that. 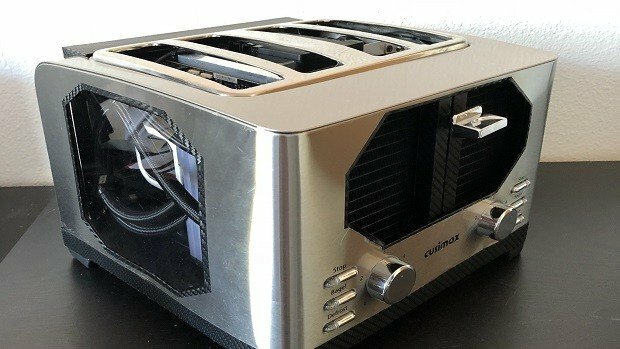 It doesn’t make toast anymore, which is a shame, because when you are gaming, you probably want some toast for a snack. It runs an AMD Ryzen 7 CPU and an Nvidia GTX 1080 Ti graphics cards. There are newer GPUs, but the 1080 Ti inside the toaster PC was the most powerful graphics card in the previous generation, and still able to keep up with the Nvidia RTX 2070. It’s still fast enough to run games in 4K resolution, as well as VR titles. 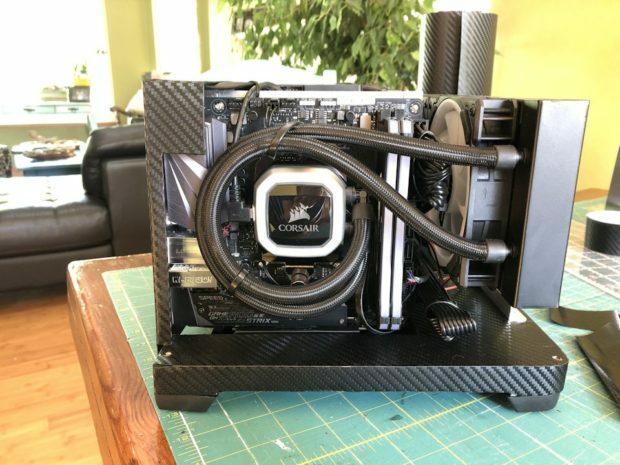 The modder did a really great job with all of the details on this build, and it is amazing that he got all of those parts inside. People like to say that their computer is toast when it breaks down, but in this case, it really is and it happened during the build process. I love the look of this thing. Great job. 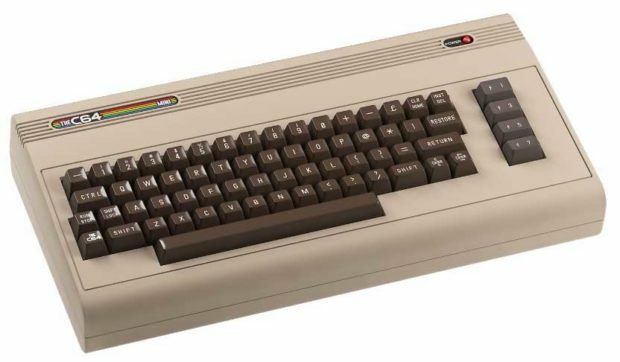 We’ve expected to see the tiny, retro Commodore 64 game console land for us to buy for a while now. 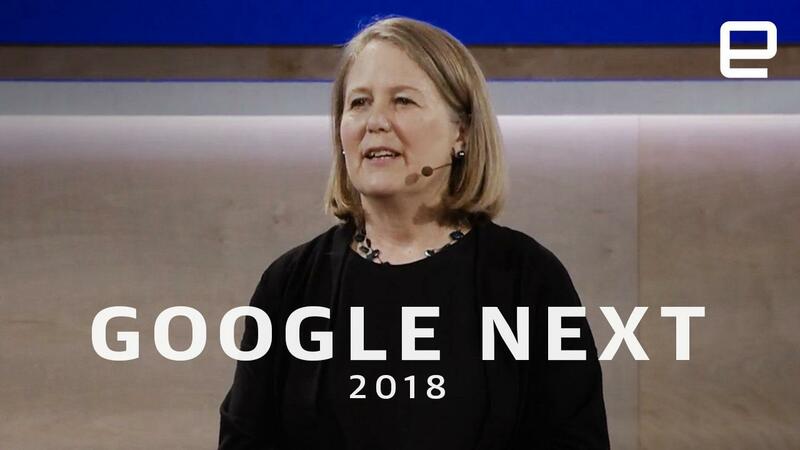 We first talked about it back in October 2017 when it was promised for early 2018. That window later turned into March 2018, and still no launch happened. Now the 50% scale Commodore 64 called THEC64 Mini is promised for an October 9, 2018 launch. The machine will come with a joystick, two USB ports, and the console itself. 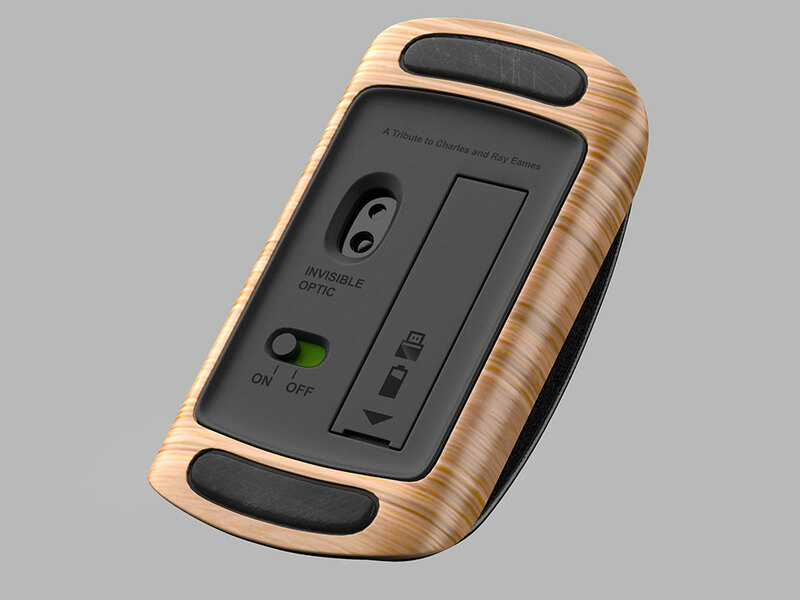 The USB ports can be used to connect joysticks, a keyboard, perform firmware upgrades, or to load your own software. When you connect a keyboard to one of those ports you can use the console like a home computer with C64 BASIC programming capability. The system offers 720p HD output via HDMI, but a CRT filter is offered for those who want real old-school graphics. You can also save games, something we would have killed for growing up. There will be 64 games pre-installed on the console including many of the cool ones from back in the ’80s that I wanted so badly. Sadly, I don’t see the flight simulator the kids were always playing in Sears back in the day. Pricing and retailers aren’t announced for the US yet, but in the past, it was rumored to cost just $69.99. 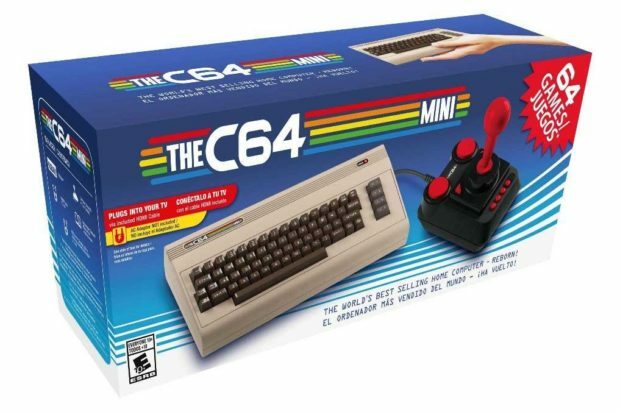 That price, coupled with its new October release date should make this a killer Christmas gift for retro computer and gaming fans. Some criminals don’t care if it is broad daylight, or how many people are around. They just want to steal things. And with the open concept and lack of real security at Apple Stores, I guess it doesn’t matter what time of day it is or how many people are around. 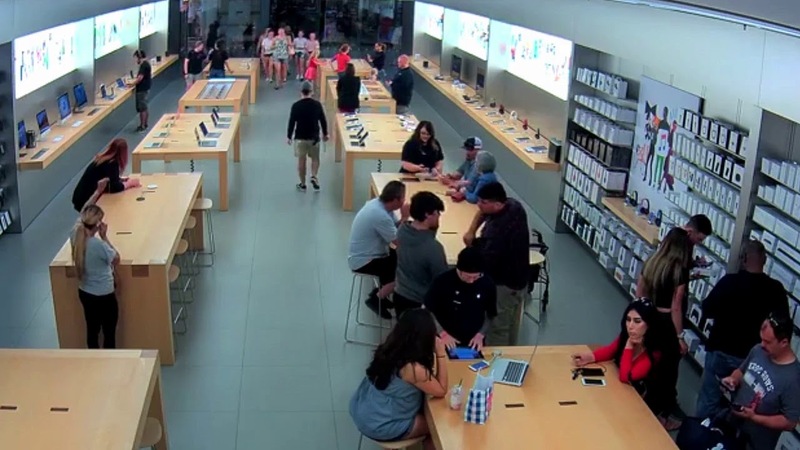 An Apple Store was recently robbed of $27,000 worth of products in just 30 seconds. Of course given how expensive Apple’s products can be, that likely just means that someone stole Three iPads and a MacBook Pro. Seriously though, These thugs made off with a lot of stuff. The robbery happened on July 7 at the Fashion Fair Apple Store in Fresno, California. The robbery was quick. At around 0:26 mark in the video below, the store surveillance captured a group of hooded robbers rushing into the store, where they quickly scooped up laptops and other items from the display tables. By around 0:45 mark, they were out of the door. It was a lightning-quick heist. Well, Apple did make it very easy for them. It might be a good idea to actually invest in some real store security – at least some locking cables – just in case others try to mimic this crime. The important thing is that no one was hurt. Except for Apple’s pride.